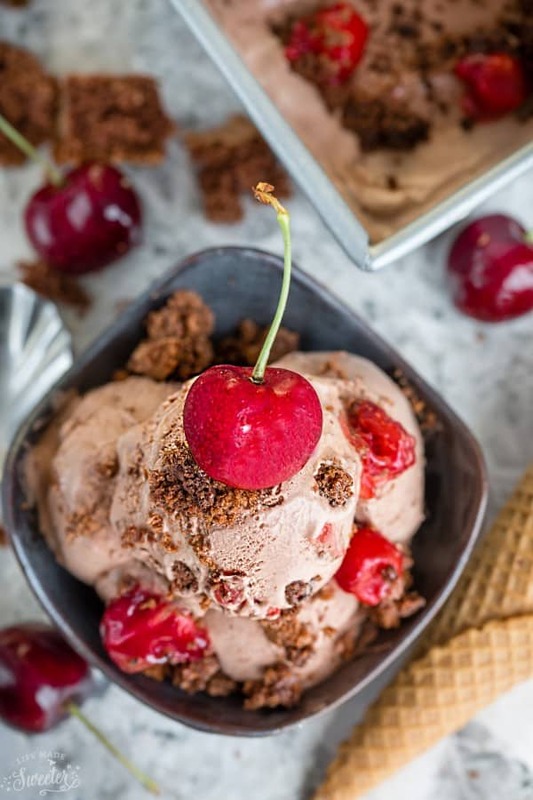 No Churn Black Forest Ice Cream is the perfect way to enjoy the popular cake without having to turn on your oven! 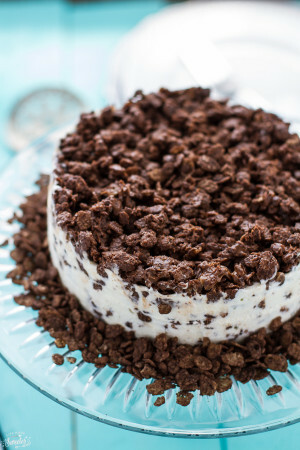 It’s cool, creamy and best of all, this recipe requires no ice cream maker! 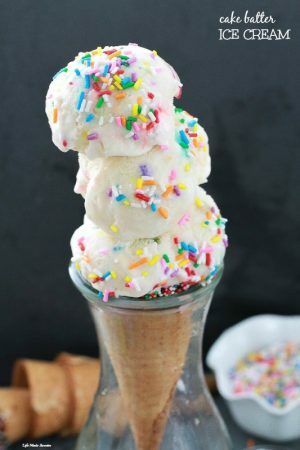 Pin for later AND follow my Recipes Board for more frozen treats! With summer slowly winding down and school already in session for many people, we have been trying to soak up the warmer weather while we can. 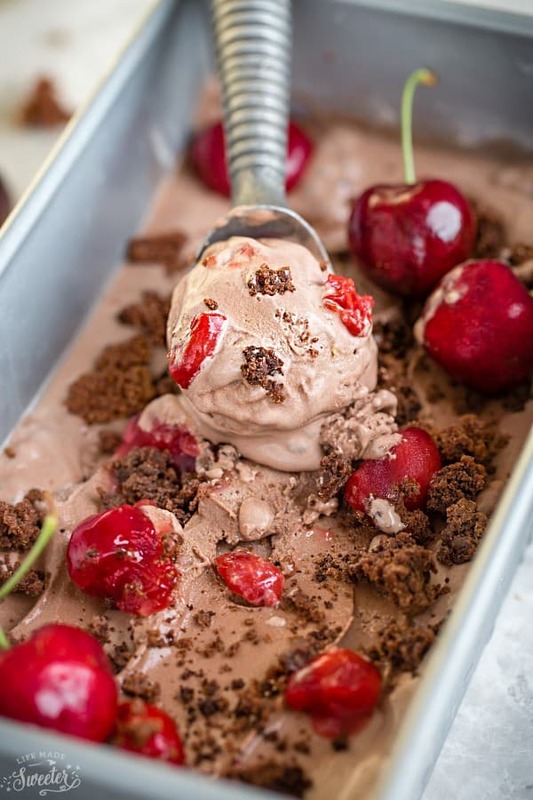 With all the fresh cherries and extra cherry pie filling I had when I made this icebox cake last month, this No Churn Black Forest Ice Cream was born. 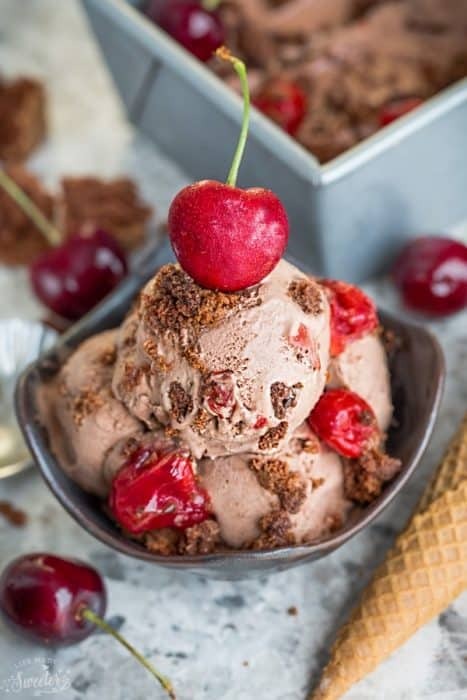 If you love the combination of chocolate and cherry together, you simply can’t go wrong with this ice cream. Black Forest Cake is one of those desserts that I remember from childhood. Our neighbor used to make it every year around the holidays and would always invite us over to share. 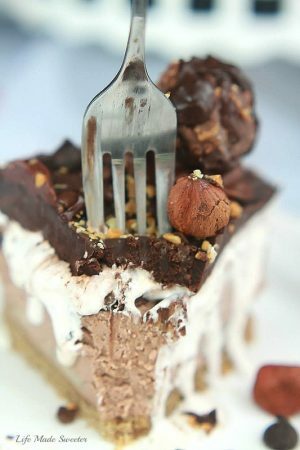 It was one of the best desserts ever – so decadent, chocolatey and super delicious. 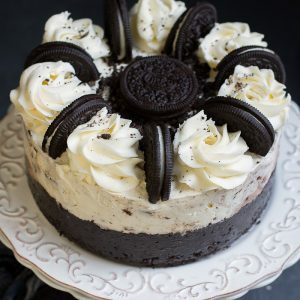 The whipped cream topping made it so incredibly light and dreamy-licious. 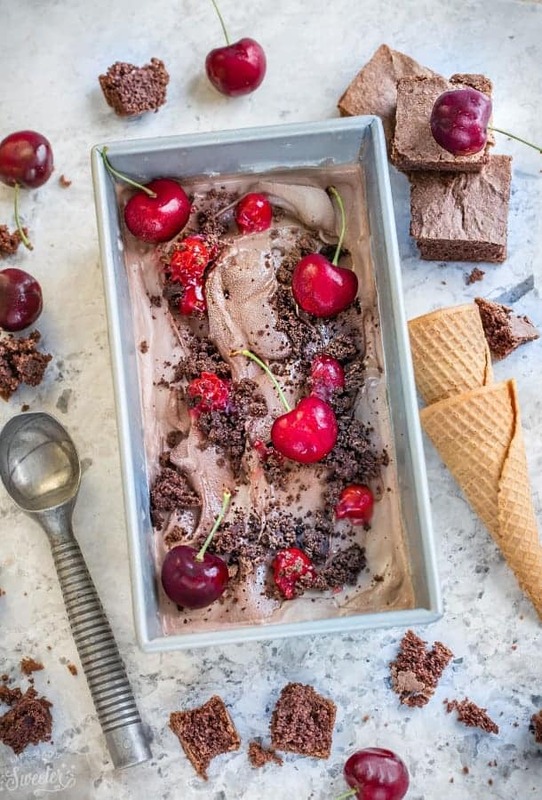 This homemade ice cream is a much easier way to enjoy that Black Forest Cake. You can use either fresh cherries, cherry pie filling or a combination of both which is what I did. I also left out the kirsch to keep it kid-friendly but you can totally add some in if you’d like. 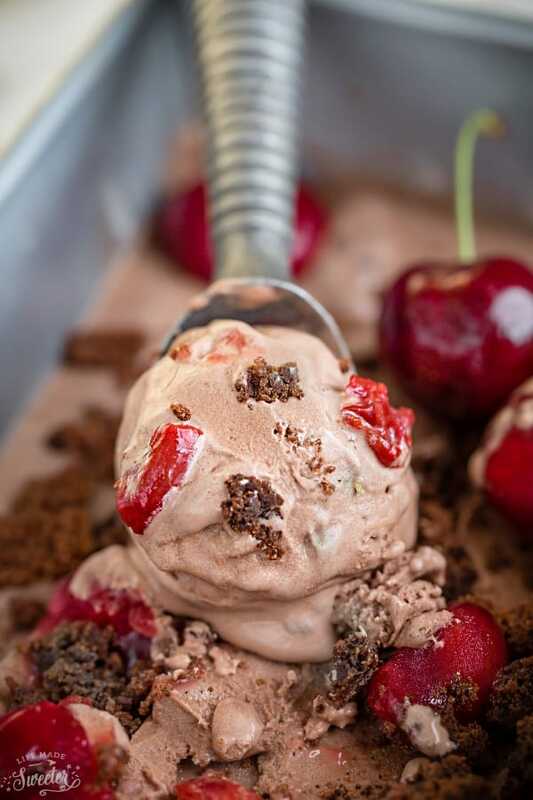 Creamy, cool and decadent with all the black forest goodness. 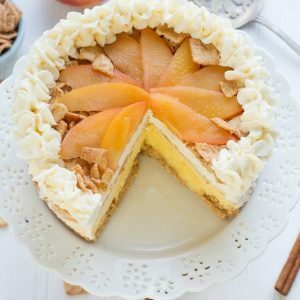 In a stand mixer with the whip attachment or using your hand mixer, whip heavy whipping cream on high until stiff peaks form. Whisk together the condensed milk and cocoa powder in a large bowl. Fold in the whipped cream. 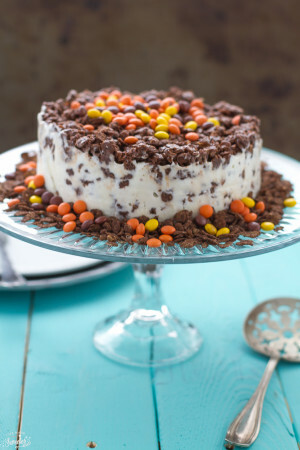 Pour half of the ice cream mixture into a 9 x 5 loaf pan or 2 quart ice cream container. Pour half of the chopped cherries and/or cherry pie filling evenly. Sprinkle in half of the brownie pieces. Pour in remaining half of the ice cream then top with more cherries/cherry pie filling. Top with rest of the brownies. 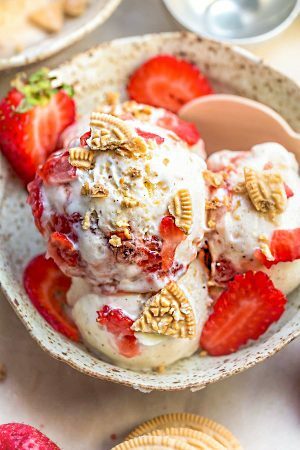 Take the ice cream out of the freezer and enjoy immediately.